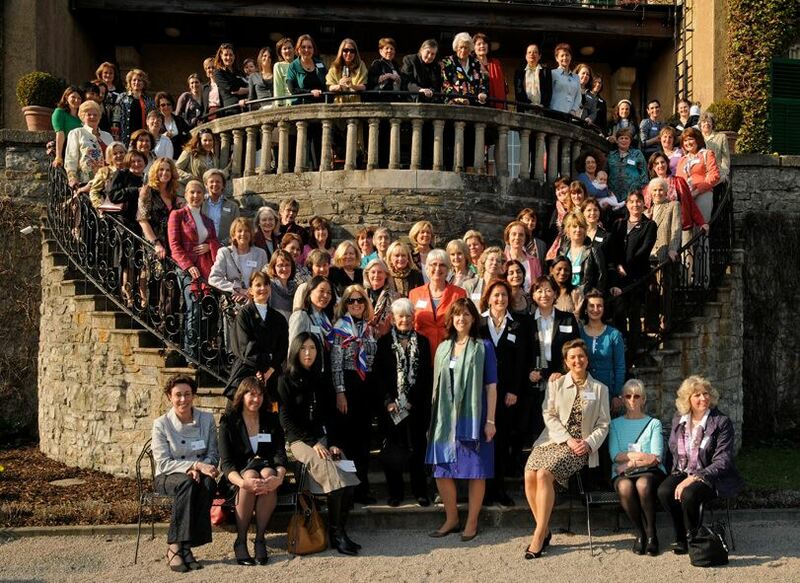 In 1961, a dynamic group of American women living abroad in Cologne, Germany, founded an organization known today as the American International Women’s Club of Cologne e.V. (AIWCC). An English-speaking social network with a charitable calling, the AIWC Cologne fosters a fun and welcoming community while enriching our lives and those around us through social and philanthropic activities. We are an engaging group of some 200 women representing approximately 20 countries. There are many reasons why we came - some for work, others for love and some for adventure or to learn German. Our German members find companionship with an international community and enjoy using their English skills. This offers the rest of us ‘expats’ an avenue to better understand the nuances of our adopted home. Living rooms and public spaces are where we meet. This website is our virtual home. It is where you will find information about club happenings, a directory of members and a forum where all members can interact. We also have a private Facebook group for those who wish to communicate on social media. As a member, you will receive a monthly newsletter by email which highlights club news and upcoming events, introduces new members and more! Our Monthly Meeting take place in the evening, generally the 2nd Wednesday of the month. Here you have the chance to meet members, the board and learn something interesting from a guest speaker. These meetings are open to all current and prospective members. Click here for upcoming dates and to register. Events and Activities are club and member organized and operated. We celebrate the holidays together and host social and fundraising events throughout the year. Meanwhile each month there are over 30 activities on offer. We are a member-run club. Bring your ideas and start something! The AIWC Cologne enjoys associate member status with Amerika Haus NRW e.V. As such, AIWCC members are invited to a variety of free events hosted by Amerika Haus throughout the NRW region including their July 4th celebration on the Rhine River. With the simple idea of connecting civic-minded women who share common interests, the American Women’s Club of Cologne (AWCC) was founded by fellow Americans, Nona Andrews and Regina Barion, in 1961. We have grown and adapted with the times. Today, grounded in our American roots with an international membership, we are called the American International Women’s Club of Cologne (AIWCC). Take a walk through our story and see how our club has and continues to be a part of the fabric of Cologne through our History Timeline below or view the PDF: Our First 50 Years. A special thank you to the women who spent countless hours researching and organizing our historical records in order to bring our timeline to fruition.